Looking for last-minute cookies, cakes and pies for your holiday gatherings? 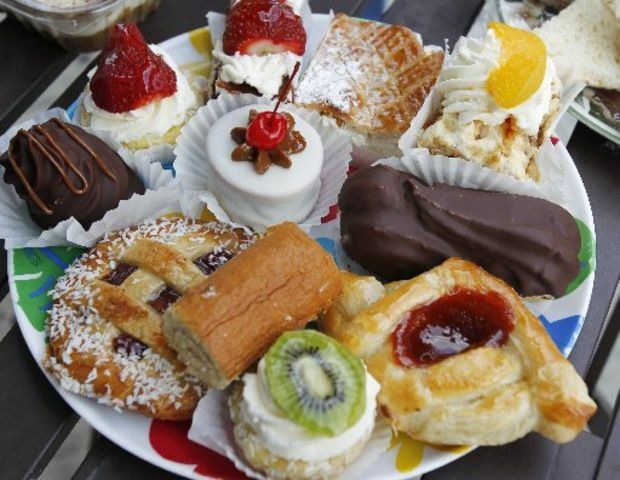 Try stopping by Argentina Bakery in Union City, named by NJ Advance Media food writer Peter Genovese as one of the top 20 bakeries in N.J.
Genovese trekked across the Garden State with his appetite and sweet tooth in tow, visiting 40 bakeries last week alone. Ever walk into a bakery and realize just by looking at the cakes and pastries they’re going to be good? That was my experience at this tiny shop, where the beautifully-constructed pastries glisten in the display case. Whipped cream, made here, is the key to many of the items. Try the pasta flora, a shredded coconut-topped quince pastry, or the alfajor, white chocolate-topped caramel cookies. Or just about anything else.